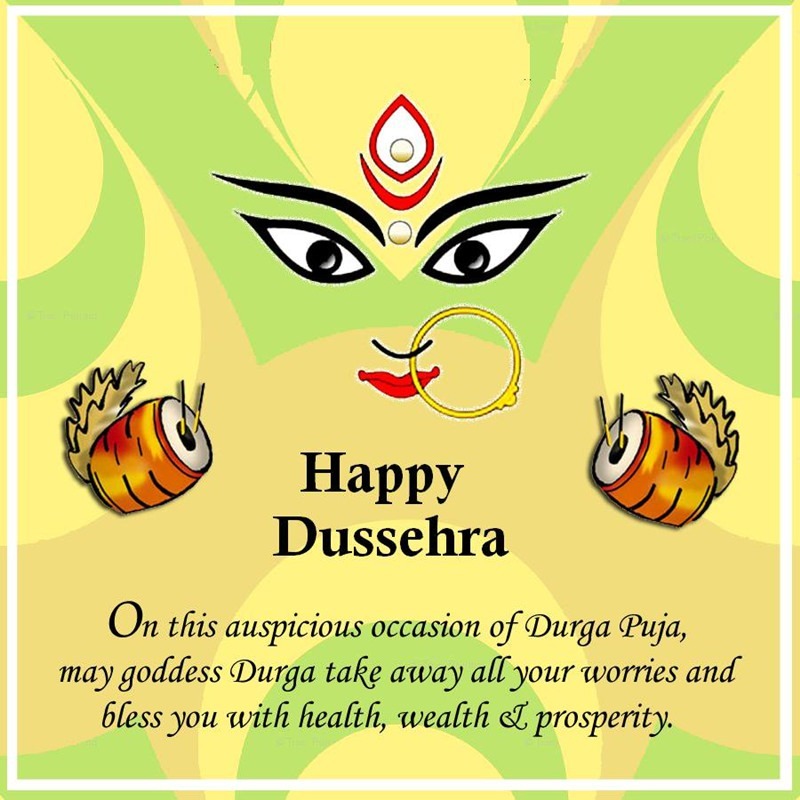 Vijayadashami, also known as Dussehra or Dasara, is a celebration of good over evil. It is observed on the tenth day of the Hindu months of Ashvin, which coincides with the Gregorian months of September and October. The festival is celebrated for different reasons in different parts of the country. It is believed that it was on Vijaya Dashami when Goddess Durga attained victory over the demon Mahishasura after fighting with him for nine nights. The festival also marks the victory of Lord Rama over the demon king Ravana after the latter kidnapped Rama’s wife Sita. The festival is celebrated with much fervor not only in India but also in Nepal. Everyone meet and greet their loved ones. In 2018, Dussehra falls on October 18. For those cannot meet their loved ones, let them know that you miss them on the festival by sending them wishes across various platforms like Facebook, WhatsApp, and others. May you achieve the strength and courage to follow the path of success.